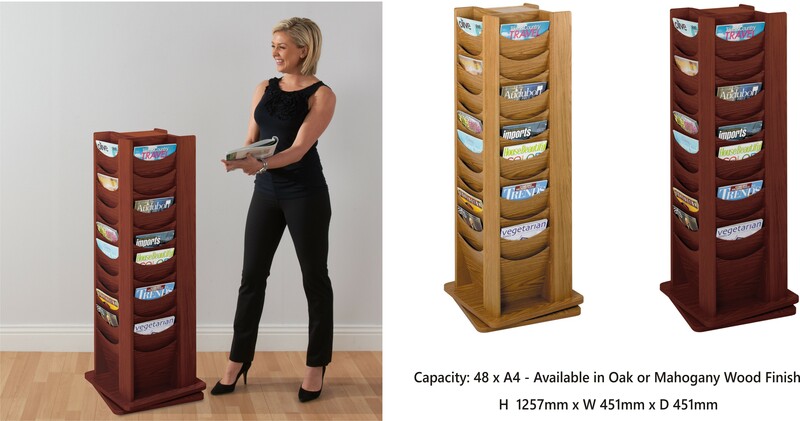 4 Sided revolving floor standing literature holder avalable in a stylish Oak or Mahogany wood finish. 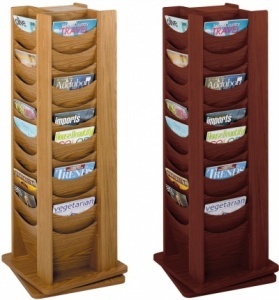 The sturdy freestanding design allows for a large amount of A4 literature to be displayed in 48 seperate scoop fronted compartments. Each compartment holds 20mm of literature in each. The unit rotates through 360 degrees to allow for easy access to all sides.